St. Parade's Day Parade-goers revel during the 2010 parade. 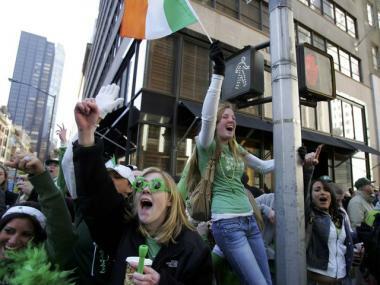 MANHATTAN — The city's 250th annual St. Patrick's Day Parade will draw millions of spectators and close dozens of streets on Thursday. Drivers not wishing to get stuck behind a sea of green should avoid the following closures, the Department of Transportation said on its website.